Markova, Lyudmila A. “Material Carriers of Thought.” Social Epistemology Review and Reply Collective 6, no. 3 (2017): 11-20. A thought cannot be understood in a scientific community without having material carriers (such as language and a brain). An idea must be formulated in a language that abides certain rules. Thinking in the human mind obeys a different logic and only after it is expressed in written or oral form does it becomes available to other scientists. Recently, philosophers have taken up the issue of the border between an idea and its material carrier. For example, how can letters written on paper and which have nothing to do, as material things, with scientific thinking express the thoughts of a scientist? Letters have certain properties such as color, size, and shape. Letters can be handwritten or printed and so on. But how can we find a particular idea in the chaos of these material properties? The same issue arises with respect to the brain, which obeys the laws of physiology. We may study these laws thoroughly, but we would not be able to locate a particular thought in a given brain. Physiological processes are not a thought, but they are necessary for the birth of a thought. Thinking cannot exist without its material carrier, yet a border exists between them. Overcoming this border is not easy to explain. And so we may ask: Can material things exist without an ideal world? Even the most common type of communication is not possible without a material carrier. 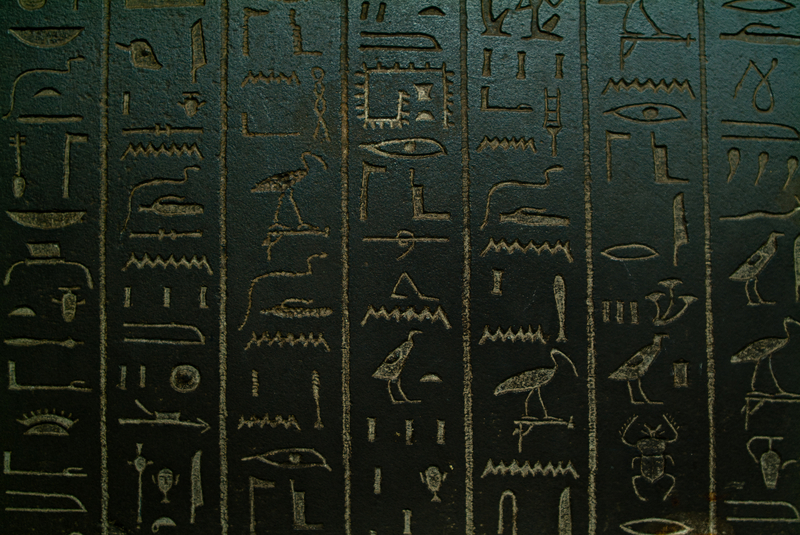 For example, at a minimum stone, papyrus or paper is required for written communication. Their production processes obey the laws of engineering sciences, which are completely independent from the content of the information they convey. Even if the information is transmitted orally, with a voice, a material carrier is present. The sound is produced in a person’s larynx and is uttered through the mouth as language. Furthermore, the air movement, which is born inevitably during the conversation, obeys the laws of physics. At the same time, the content of the information does not depend on the methods of its subsequent transfer. Both processes interact only at the level of their results. Such types of communication are typical for classical science (17th– early-20th century) and, respectively, for thinking in general—insofar as scientific thinking may be taken as a model of thinking in this historical period. It is important to bear in mind that classical logic does not take into account all individual features of the author of a new idea and all the circumstances accompanying their work. Investigation is directed at nature that exists independently from the human being. That is why knowledge about the surrounding world, if it is true, also must be outside of the world of scientist—it must be objective. The same may be said about machines the work of which is based upon laws of classical science. Ideally, machines can work without humans just as the nature exists in the absence of people. The surrounding world is extremely diverse, and it is very difficult to understand it rationally. Classical scientific thinking was based initially on the contrast between res extensa and res cogitans. The variety of the material world (res extensa) is reduced to mathematical relationships, which do not take into account such properties of things as color, smell, sound, taste, and a number of other (secondary qualities, qualia) that are perceived by the senses rather than by mathematical measurement. This reductionism does not mean that scientists denied the existence of a colorful world. Rather, it means that scientists considered it possible to understand the whole world by ignoring in their logic everything unrelated to the mathematical laws (mathematical natural science). In the 20th century we have witnessed a decisive turn in scientific thinking. The vector of research is directed not to the nature, but to the human world, to everything that is connected with human existence and human activity. This turn was a reason for the emergence of social epistemology where scientific knowledge not only may contain social features, but also must contain them. In this regard sociologists of science offered a new look at the production of scientific knowledge in the laboratory. It was found that the scientist’s activity and its result depend, to one degree or another, on everything located in the laboratory. But this “everything” often has nothing to do with science. How can the life of a laboratory, in all its diversion, explain to us the solution of a scientific problem, which must be incorporated in the development of scientific ideas? The same difficulty arises in case study research, which became very popular in the last century. In both instances, questions arise about a connection among scientific ideas and the contexts of their emergence. In this regard many important concepts of classical logic and its basic theses became problematic. For instance, what can we say about the concept of interdisciplinarity? In classical science it meant that one science used results obtained by another science. Engineering sciences, for example, used knowledge acquired in the natural sciences. Yet, such conceptual concerns are outside the scope from the perspective of technological advancement. In the framework of social epistemology, the relationships among the sciences occur not just regarding knowledge, available in every science, but among the creators of this knowledge. Such concepts as dialog, communication, understanding (rather than cognition), discussion, conversation, and context come to the fore. Science approaches art, to a degree, in that now we are also interested more in the painter and the painting of the picture than in the objects represented on the canvas. This turn to the author of scientific activity entails one more important consequence. The personality of a scientist, as a social being, is embedded with some of its features into the gained knowledge. But in order to be a scientist, and not simply a social being, it is necessary to make a step not only in the development of society, but also in science. Moreover, one is impossible without the other. The difference between the material and the ideal (res extensa and res cogitans) ceases to be precise. Of course, the process of transferring information must have a material carrier. But the interaction between what is transferred and its material carrier is of another type. If one of them changes, the other changes at the same time. Take, for example, the mobile phone. Its size, weight, thickness, screen area and many other properties change with new demands from users. We see the same in science; for example, in the biomedical laboratory. Experimental equipment and plans for research are created in connection with social problems. The connection between the development of science and society is direct. We can see the same thing in other sciences that are at the forefront. This kind of communication of science within a certain context makes it easier for us to understand how something that has seemingly nothing to do with a scientific problem is, however, necessary for a solution. Any change in the quality of the paper (material carrier) cannot change the content of what is written on it. But any change in experimental equipment in the science of today (material carrier) can change the result of research. Appropriate borders are also changing and are sometimes hardly noticeable. Perhaps this is the reason why we often encounter the notion of chaos not only in philosophy, but also in politics and everyday life. For instance, we find it difficult to accept that the technical equipment of an experiment takes part in the solution of scientific problem and that its changes are somehow embedded in the result. Yet, the difference between material technology and ideal scientific thinking is changing. Social epistemology is in many ways still an emerging field. Its aim, broadly construed, is to study the social dimensions of knowledge acquisition and information processing. As is the case with any nascent paradigm, however, its methodology, and thereby its place within contemporary philosophy (as well as its relation to other academic disciplines), is the topic of an ongoing debate. One camp (Goldman 1999; 2010) within that debate holds that social epistemology should be pursued strictly from within the perspective of individualistic analytic epistemology. In contrast, a second camp (Fuller 2007; 2012) holds that social epistemology is an interdisciplinary field that should be given priority over traditional analytic epistemology, with the specific aim of radically transforming the latter to fit the results and methodology of the former (Palermos and Pritchard 2013, 2). On one hand, by conceiving of knowledge—typically the primary focus of epistemology—as a cognitive (i.e., mental) phenomenon, traditional epistemology has traditionally focused on the individual cognitive agent. Cognition, after all—it is largely held—rests within the individual’s head. Accordingly, to account for knowledge, one should focus on the cognitive/epistemic properties of the individual agent. On the other hand, social epistemology conceives of knowledge primarily (and, sometimes, even entirely) as a social phenomenon that cannot be understood in the absence of the individual’s socio-epistemic interactions. As such, it appears to be in stark contrast with the aforementioned traditional approach (Palermos and Pritchard, 2013, 2). The authors undoubtedly give an adequate picture of the situation in social epistemology. However, their reasoning can be continued in the following way. Descartes believed that it was enough to know the methods of thinking used to get a true result—it does not matter whether a person is clever, educated or not. In this sense, all people are identical, as if all were one person. Goldman’s logic is of this type. For him, the conditions in which the scientist works, or who he is as a person, does not matter. There is only one logical subject and it is enough to study the logical processes in his head to know what scientific knowledge is. Needless to say, Goldman never would deny that the scholar must know his science well to work successfully. To do so, the scientist studies in the university, reads books and journals, communicates with his colleagues, living conditions must be at least acceptable, and the like. But for Goldman all this is empirical and has little to do with logic. The Fundamental Question of Social Epistemology: How should the pursuit of knowledge be organized, given that under normal circumstances knowledge is pursued by many human beings, each working on a more or less well-defined body of knowledge and each equipped with roughly the same imperfect cognitive capacities, albeit with varying degree of access to one another’s activities? As we see, Fuller considers it necessary to take into account that many people are conducting research. These researchers are all different and their working conditions are not identical. At the same time, Fuller would likely agree that a new idea comes to the mind of one person rather than to all at once. It follows, that neither Goldman, nor Fuller seem inconsistent with reality. We can find everything in the outside world but, in order to conceive of it rationally, it is not enough to describe it. Both Goldman and Fuller choose the most significant, from their point of view, features of the scientific thinking. For Goldman, it is important to find characteristics common to the people being studied. For Fuller, it is important that scientists are different and that thinking of each of them lends individual distinctions. The grounds for Fuller and Goldman are different and approaches to the study of thinking also are different. Despite these differences, both approaches are equally logical. Each approach has its own historical context. The Modern period (17th-20th centuries) is the historical context for Goldman. The 21st century is the context for Fuller. Fuller studies problems that arise from classical thinking that classical thinking seems unable to resolve. For Goldman, these problems do not exist—features that are not common for all scientists are outside of logic. Palermos and Pritchard write about the development of cognitive science. The result may be “the emerging current of active externalism, according to which human cognition is not always limited to our biological capacities, but often exceeds them by extending to the epistemic artifacts (or even agents) that we interact with” (Palermos and Pritchard 2013, 4). One can agree with authors that the development of cognitive science is significant for the study of thinking; first, because the aims of investigations change. The physical structure of the brain is studied to determine how thought emerges. However, the most thorough study of the physiology of the brain as a material carrier of thought, all the details of its functioning even including its interactions with epistemic agents, may not help us to find any thought. In analytic epistemology, knowledge was examined in the content of scientific theories set out in papers, books, and textbooks, which were material carriers of scientific knowledge. The history of scientific ideas was conceived as the development of one theory from among the others. Philosophy of science remained separated from social concerns. For cognitive science, the “territory” of thought is a brain. The main problem of social epistemology, as formulated by Fuller, is to rationally explain the role of the social environment in the creation of the content of scientific knowledge. The most important turn in the investigations of this kind is to make the area of scientific knowledge the situations where the problems of knowledge, and the problems of social life, are connected and cannot be considered without one another. If a scientific problem is solved, a social problem is solved at the same time, and vice versa. A border between thought and its material carrier (experimental equipment, for instance), which is an element of context, is part of scientific thinking. Of course, the connection between society and scientific knowledge has always existed in some way, but it was of another kind. When concern regarding social circumstances remained outside the scope of scientific knowledge, society used the results of the research with little interest as to how the results were received. Social influence was understood as external; it could speed up or slow down the development of a certain branch of science, change its direction, but could not affect the logic of scientific development and the emergence of new knowledge. Similarly, these processes are of no interest to society because they have no effect on the use of research results to meet the needs of people. The laws of science and the laws of society are different. Thus, the notion of active externalism leaves social considerations outside of knowledge. In social epistemology, the emergence of a scientific problem and a situation in society, where the help of science is needed. occur simultaneously. For instance, we need a Smartphone that understands voice commands. If we do not have the corresponding scientific knowledge, we must obtain it. This goal will be achieved if we receive a proper solution. The scientific problem can be solved only if voice command is fulfilled and vice versa. Two poles, scientific knowledge and the social context of its production, remain tied together. In order to use a new Smartphone, it is much better to know something about the aim of scientific research to solve a specific scientific problem and about the work on the creation of a material thing (material carrier of the idea) that can meet existing human needs. Thus, from the viewpoint of social epistemology, there is more overlap between social context and scientific knowledge than in previous approaches to epistemology. Attention to the origin of scientific knowledge means that the problem of its emergence comes to the fore. A new theory is not developed from previous theories as suggested in analytic epistemology. In this case, we may ask: What is new in a theory, if the theory was already somehow already contained in previous knowledge? The aim of social epistemology is to show the birth of a new theory as a creative act from out of a sociohistorical context (including material social circumstances). In his November 2014 Moscow presentation, Fuller showed again the significance of social epistemology—he aims to show science’s presence in society as a commodity (cf. Fuller 2015) from a particular point of view. He draws attention to the properties of goods, which previously had no value for the buyer, especially if the thing acquired performed its functions properly. Now, if you purchased a mobile phone or a car, you need to know both for what purpose and how they were made. This knowledge will help you to use them. The production of a thing, and the author of this process with his knowledge and ability, is part of the product. The intellectual activity of a scientist and the materiality of the result of this activity are not divided by a clear border. Notice how the border between the result of research and its context is becoming more important. It is not like a boundary between a paper with letters printed on it and the idea the paper expresses. Rather, the idea and its material carrier are connected in the result of the research. The understanding of technology required to appropriately theorize the relation between thought and its material carrier, then, relates more to the content of our minds than the laws and logic of its nature—for example personal computers, electronics in planes, cars, appliances, phones, etc. Hence, social epistemology, as conceived by Fuller, is able to examine the impact of technological mediation through the social contexts influencing the material carriers of thought. In this way, we may understand the author of new thoughts in terms of a collective, rather than individual. Thomas Kuhn, perhaps more than anyone else, influenced the contemporary study of social moments in the development of science. If we want to understand the appearance of a new idea in science on what can we rely? For Kuhn, the main act was the victory in the competition among paradigms—each of them being different from each other. Yet Merab Mamardashvili believed, contrary to Kuhn, that the number of scientists who agree with the Pythagorean theorem, for instance, does not make it more or less true. The knowledge is assumed to exist from the moment of its appearance in the mind of a scientist. But to make knowledge accessible to others you need to communicate it. Only a materialization of thought makes it understandable to others. Only then does it become possible to criticize, or agree, with new knowledge. For Kuhn, the emergence of a new idea in a human mind, as well as the transition from an old to a new theory, cannot be understood logically without considering historical context. Still, he was sure that a new idea emerges in the head of a person, a point not recognized by critics. As for his understanding of the transition from an old to a new theory, he was criticized severely. Kuhn’s idea about the incommensurability of paradigms was, in fact, an important step in the creation of a new logic. Kuhn showed the inability of classical logic to solve the problems faced by contemporary epistemology. In Kuhn’s system, there was no direct evidence of signs of any new type of rationality. Rather, his closest followers inclined toward empirical research. However, over time, it became apparent that if classical logic could not cope with the various shifts in scientific research, the creation of a new logic was inevitable. Thus, there is a significant distinction between Kuhn’s accounting for “revolutions” regarding scientific theories, and Fuller’s understanding of the role of sociality in scientific knowledge. Kuhn wanted to demonstrate that scientists in the scientific community are not engaged only with their professional activity. They are common people. Their communication goes beyond the work and this affects the result. Submission to a dominant paradigm means that all scientists in a field work within its frame. Kuhn and his followers call this science normal. For them, it was not important that every scientist obeys the paradigm a little differently than his neighbor. These individual differences are inevitable. They are connected with paradigmatic features of science. For Fuller, it is important to emphasize that common people, who are not scientists and who use the results of current science, take part in the shaping of scientific theories. Since we understand science as a socially exchanged commodity, new knowledge is obtained partly from what is not science. This step in the development of epistemology, realized by Fuller, is a serious transformation of previous views. The novelty of Fuller’s work is in conceptualizing the activity of people who are not scientists but who are involved, at the same time and in various ways, in obtaining scientific results. Fuller demonstrates that scientific knowledge is born both of commodity relations not among scientists, and of professional relationships among scientists. The research process itself contains social, intellectual and logical components. When something unexpected arises in science a change occurs not only in science itself, but also in the society from which the research problems originated. The boundary continues to blur between basic and applied science, and between science and society. For Kuhn and his followers, it was difficult to renounce the uniqueness of paradigms. Yet, the philosophical problem is: What to do with their incommensurability? Moreover, another challenge directly stems from this problem: How are we to understand truth? According to classical thinking, every object of study can have only one true understanding. The link between knowledge and reality is rigid and they differ from one another. But if some social properties are “inside” knowledge, it means that they have some common features and are not absolutely different as it was supposed. Does this mean that each paradigm is true in its own way? And what can we say about these issues in connection with spread of network communication? Consequently, the concepts of material and ideal, thought and its material carrier, must be understood in some another way. David Berry, an English scientist, puts forth many important and interesting issues about the nature of human thinking in the conditions of web communication. He writes that he wants “to understand software epistemes as a broad concept related to the knowledge generated by both human and non-human actors. This aim is to explore changes that are made possible by the installation of code/software via computational devices, streams, clouds or networks” (Berry 2014, 123; cf. Scalambrino 2015). The author’s reasoning about the materiality of software is intriguing: “Not that software is not material, of course, certainly it is embedded in physical objects and the physical environment and requires a material carrier to function at all. Nonetheless, the materiality of software is without a doubt, differently material, more tenuously material, almost less materially material and this requires a careful description and critical attention” (125). Berry continues this reasoning: If the materiality of carrier changes, what is becoming in artificial intellect? To what extent does it remain human? In this article, I have sketched the issue of the conflict between analytic epistemology and social epistemology. Put in the form of a question: What kind of knowledge gives us a correct picture of the world? And, so, who is right, the representatives of “classical” analytic epistemology or social epistemology? To answer this, we should remember that scientists create not only the knowledge of the world, but also the world itself. Let’s take an example of everyday thinking. Pushkin’s works were read by his contemporaries. Now, they are read by us in the 21st century. Today we understand his works differently from how they were understood previously. Other ideas are important to us, in our sociohistorical context; however, we all read the same literary work. This is not simply due to the difference of opinions but due to the different situation of the material carrier of Pushkin’s thought (cf. Vlieghe 2015). Changes in the material carriers of thought influence knowledge and its pursuit. Clearly, then, technological mediation—in altering material carriers of thought—will lead to the creation of knowledge of the world, and the world itself. In classical science, nature (in the broadest sense of the word) is all around us and exists independently from humans. Human society, its history, social relations, man himself as a living being, language, research results—everything is conceived as subordinate to objective laws. Scientific thinking is directed to the world around us, which is understood as law like. The border between studied things and thoughts about them is clear. 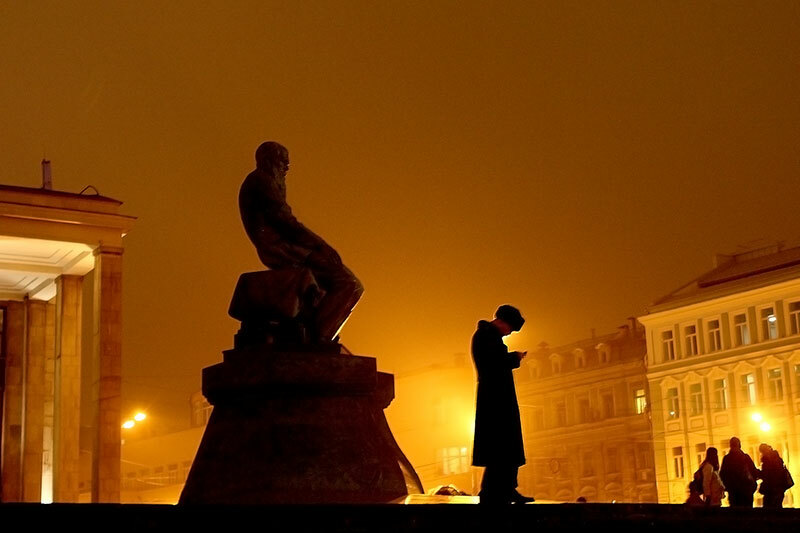 Epistemology is not social—all possible social influences are eliminated from knowledge. Logic is focused on the outside world, thus thought reproduces the objective features of the outside world. The material carrier is separated from the thought by a boundary that is difficult to overcome. Yet, one, the material carrier can be commodified, and, two, the border is situationally protean. In the 20th century the situation changed radically. Thinking is oriented to the beginning of thought, on its birth in the head of scientist. The process of this creative act and its author are not eliminated from the result; on the contrary, they are integrated into it and thereby participate in its production. For Goldman (classical epistemology), it is important that we deal every time with an identical subject; that is, with Pushkin’s works. It does not matter that they obtain different characteristics in different situations. These individual features should be ignored. For Fuller (social epistemology), on the contrary, it is necessary to pay attention, above all, to the specifics of each case and to the fact that every time the material carrier is different in some way. It cannot exist without a thought. One can see that in science the distinction between paradigms is the basis of pluralism. In turn, pluralism may be necessary for communication across paradigms. That is why social epistemology is not interested in the destruction of its historical predecessor, classical epistemology. A new kind of relationship can be outlined in science through pluralism (beyond interdisciplinarity) and dialogue. This type of thinking, when its basis is communication and not generalization, can help overcome incommensurability. Both sides of communication are changing. Every paradigm has its own subject of study and the problem of relativism loses its value. A material carrier cannot remain independent of a changing thought. Berry (2014) is right when he says that materiality itself is changing. And, of course, the ideal characters change with the material carriers of the thought. Berry, David M. “The Social Epistemologies of Software.” In On Twenty-Five Years of Social Epistemology: A Way Forward, edited by James H. Collier, 123-143. London: Routledge, 2014. Bibler, Vladimir S. “Understanding of the Inner Speech by L.S. Vygotsky and the Logic of Dialogue (Once Again about the Subject of Psychology).” In On the Edges of the Logic of Culture: A Book of Selected Essays. М, 314-326, 1997. Bibler, Vladimir S. “Consciousness and Thinking (Philosophical Background).” Philosophical and Psychological Assumptions of the School of Dialog of Cultures, 1998. Bibler, Vladimir S. Mikhail Mikhailovich Bakhtin or the Poetics of Culture. Moscow: Progress-Gnosis, 1991. Goldman, Alvin. Knowledge in a Social World. Oxford University Press, 1999. Goldman, Alvin. “Why Social Epistemology is Real Epistemology.” In Social Epistemology, edited by Adrian Haddock, Alan Millar, and Duncan Pritchard, 1-28. Oxford: Oxford University Press, 2010. Dubrovski, David I. Consciousness, Brain, Artificial Intelligence. Sat. articles. Moscow, 2007. Fuller, Steve. Social Epistemology. Bloomington: Indiana University Press, 1988, 2nd ed. 2002. Fuller, Steve. “Customised Science as a Reflection of ProtScience: Social Philosophy of Science Russian Prospects.” Proceedings of International Conference. Moscow, November 18-19, 2014. V. 1. Plenary Papers, 2014, 5-7. Fuller, Steve. “The Place of Value in a World of Information: Prolegomena to Any Marx 2.0.” In Social Epistemology and Technology: Toward Public Self-Awareness Regarding Technological Mediation, edited by Frank Scalambrino, 15-26. London: Rowman & Littlefield International 2015. Fuller, Steve. “Social Epistemology: A Quarter-Century Itinerary.” Social Epistemology 26, no. 3-4 (2012): 267-83. Fuller, Steve and Veronika Lipinska. The Proactionary Imperative: A Foundation for Transhumanism. London: Palgrave Macmillan, 2014. Mamardashvili, Merab. Arrow of Cognition: Sketches of Natural-Historical Epistemology. Moscow, 1996. Markova, Lyudmila A. Science on the Verge of Non-Science. Moscow, 2013. Markova, Lyudmila A. “On Twenty-Five Years of Social Epistemology. A Way Forward.” Voprosi Philosophii, no. 12 (2014). Palermos, Orestis and Duncan Pritchard. “Extended Knowledge and Social Epistemology.” Social Epistemology Review and Reply Collective 2, no. 8 (2013): 105-120. Vlieghe, Joris. “How Learning to Read and Write Shapes Humanity: A Technosomatic Perspective on Digitization.” In Social Epistemology and Technology: Toward Public Self-Awareness Regarding Technological Mediation, edited by Frank Scalambrino, 127-137. London: Rowman & Littlefield International, 2015. Vygotsky, Lev S. Thought and Language. 1934; MIT Press, revised edition, 1986. Markova, Lyudmila A. “A Brief Reply to Maya Frodeman.” Social Epistemology Review and Reply Collective 3, no. 9 (2014): 53-54. Frodeman, Maya. “A Challenge for Frodeman and Briggle.” Social Epistemology Review and Reply Collective 3, no. 9 (2014) 30-33. I would like to consider briefly three points in connection with issues raised by Maya Frodeman. Sandstrom, Gregory. “Human Satellites and Creative Extension.” Social Epistemology Review and Reply Collective 3, no. 3 (2014): 60-63. Sandstrom, Gregory. “Extending Knowledge and the Extended Mind: Interview Report Précis — Audio.” Social Epistemology Review and Reply Collective 3, no. 2 (2014): 34-37. Markova, Lyudmila A. “The Humanisation of the Surrounding World and the Technisation of Humans.” Social Epistemology Review and Reply Collective 3, no. 3 (2014): 49-52. This is a response to Lyudmila A. Markova’s engaging piece on “The Humanisation of the Surrounding World and the Technisation of Humans.” She notes at the start that “several interesting topics” (49) have recently been posted on SERRC, which she says are interdependent and which “cannot be considered without referring to the others” (49). I agree with her on this, though I would like to have (or to still see) included cybernetics and systems theory as well, even though their reputation is not always stellar in some contexts. Editor’s Note: Professor Markova’s piece appeared originally in the comments section on 10 February. Subsequently, the comments were edited and moved here. Markova, Lyudmila A. 2013. “New people and a new type of communication.” Social Epistemology Review and Reply Collective 2 (11): 47-53. Editor’s Note: Markova’s comment, posted originally on 7 October, accompanied Šegvić’s interview with Fuller. Subsequently, the comment was edited and posted here. An intellectual is someone who makes a living out of the production and distribution of ideas. The focus on ‘ideas’ is quite important because it means that the intellectual must be adept at communicating in a variety of media — e.g. not simply academic texts — through which ideas may be conveyed. Markova, Lyudmila A. 2013.”The Beginning in Science and Humanity.” Social Epistemology Review and Reply Collective 2 (10): 4-6. The problem of the relationship between science and humanity has resurfaced recently. What could be the reason? One reason could be the interest of researchers in the role of creative processes in the emergence, or beginning, of scientific knowledge. Looking at the beginning of science, you may observe the shifting of the object of study from the results to the process of how the results are obtained. Markova, Lyudmila A. 2013.”Context and Naturalism in Social Epistemology.” Social Epistemology Review and Reply Collective 2 (9): 33-35. Kasavin, Ilya. 2013. “A Further Reply to Rockmore.” Social Epistemology Review and Reply Collective 2 (5) 12-14. Two notions, context and naturalism, are the subjects of analysis of both Ilya Kasavin (“Reply to Rockmore”, 2013) and Tom Rockmore (“Kasavin on Social Epistemology and Naturalism: A Critical Reply”, 2013). I agree with many of Kasavin and Rockmore’s points — especially with those that concern the difficulties in the classical (traditional) epistemology. I agree with Kasavin that context is indeed problematic. Yet I would like to resist the effort either to free cognitive claims from context or, on the contrary, to absorb the former into the latter. … The proper relationship seems to me to be a kind of constitutive tension that can never be overcome and which must be construed not in general but rather on a case-by-case basis in order to understand the weight of the particular cognitive claim (11).